Thank you very much for sharing your experience in reaction to my letter. It made me realise that my wish for support of medical transfers overseas by the Disaster Management Office has been misunderstood. It was not suggested that this office would pay the expenses, but that it assists those people who find it difficult to raise the funds and organise their travel, especially when time is of vital importance. However, additionally, the office could refer any person in need to charities or other people who are willing to help them. Yes, every Samoan does have a family, through blood-relation and through matai connections. But we do need to face the reality that some families do not function as well as others – otherwise, there would be no violence and abuse, no child street vendors, no crime - and no work for the Land and Titles Court. We are both very blessed to have been born into families who looked after us, gave us good schooling and support us no matter what. But many are less fortunate – they meet us as “… le tasi o e aupito itiiti o o’u uso nei…“ (Matthew 25, 31-46). To God, they also are our family. We have to know in time when one of our brothers and sisters needs help, and this is why I suggested that a government agency serves as link between those who can offer help and those who need it. Ia manuia le Tausaga Fou - God bless you. 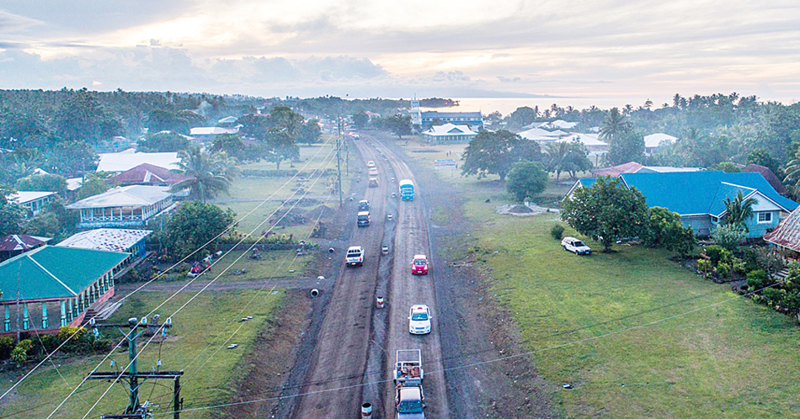 Last Sunday’s story and several earlier articles as to the eligibility of local road construction companies to bid for the Vaitele to Faleolo road upgrading repeatedly refers to this being a “multi-billion tala” project which is actually quite ridiculous.